The appointment lines are open from 8.30am onwards. We aim to offer you an appointment with your doctor at a time convenient to yourself however if that doctor is not available you will be offered an appointment with another healthcare professional. We have a strong belief that a person is best served by a doctor who knows them well and with whom they can develop a long-term beneficial relationship. With this in mind we will always try to offer you an appointment with your own doctor, even if that means waiting a little longer. 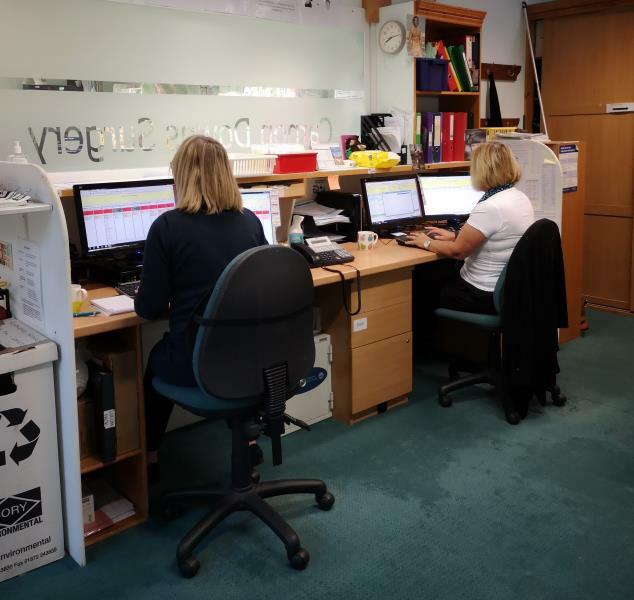 There are three types of appointment and our reception team will make gentle enquiries to ensure you are directed to the most appropriate person. You do not need to answer their questions if you do not wish to. We offer appointments on the day with the duty doctor for all urgent medical problems. There may be a few appointments to book on the day for routine or follow-up problems but we cannot always guarantee availability and we encourage all patients to book these type of appointment in advance. We have a strong belief that a patient is best served by a doctor who know them well and with whom they can develop a long-term replationship. With this is mind we will always try and offer you an appointment with your own doctor, even if it means waiting longer. As well as telephoning for an appointment we are able to offer a large vasried number of appointments online. Patients wishing to use this service will need to register, notifying the practice of their email address and completing some forms. If you are already registered for online drug orering you will be able to make or cancel appointments with the same login. We have a touch screen computer in the LOBBY area which is available for you to automatically check yourself in and therefore not wait at the reception desk. It is very straight forward to use and requires no computer knowledge at all. Please follow the instructions carefully and if you are in any doubt please speak to the receptionist. If you have booked an appointment with a GP, Nurse or Healthcare Professional and you are unable to attend, PLEASE LET US KNOW BY PHONE AS SOON AS POSSIBLE on 01872 863221. Many hundreds of valuable pre-booked appointments are wasted every year. These appointments could, very easily, have been made available for other patients had we known in advance. If patients do not attend on more than three occasions in one twelve month period, we may decide to remove them from the practice list.